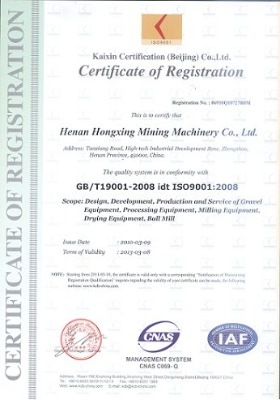 Company Overview - Henan Hongxing Mining Machinery Co., Ltd.
8YRSHenan Hongxing Mining Machinery Co., Ltd.
Our company is a joint-stock mining machinery manufacturing enterprise integrating scientific research, production and marketing. 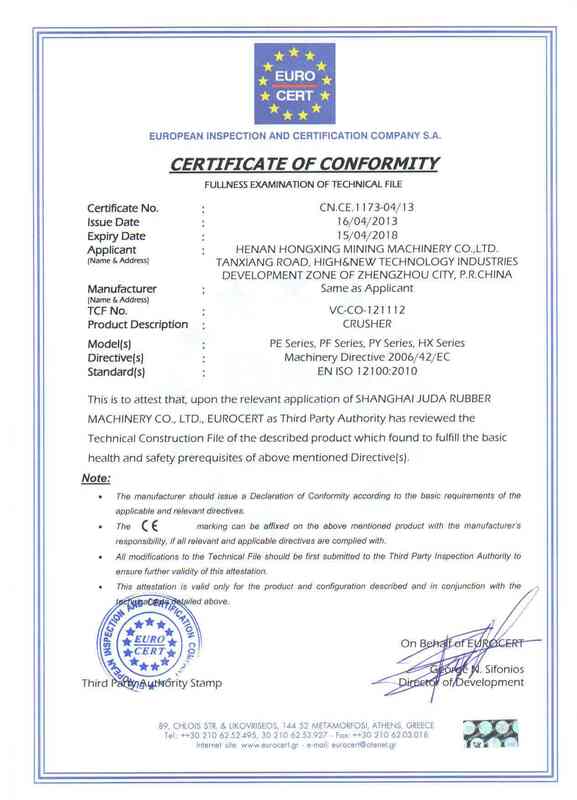 Our company is located in Zhengzhou High & New Technology Industry Development Zone with an area of 150,000 square meters, which includes 50,000sqm of standard heavy industrial workshop. Equipment includes more than 160 sets of large and medium sized metal processing, riveting and installing equipment. There are more than 660 workers, including 80 administrators with the secondary and senior occupational titles and engineering technicians. 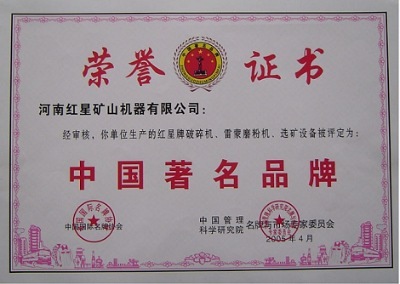 In order to promote the competitive strength, our company has introduced advanced technology from America, Germany, Japan and Australia, establishing the internationally advanced production line and the first-class modern testing base as well as research centers of sand maker, mill and mine-selecting equipment. With the scientific management, advanced processing technology and innovative manufacturing theory, our company became the first-level one of the mining machinery manufacturing and exporting base in China. Our company lays much emphasis on the quality and clients. We serve clients with the quality guideline of "being responsible for every working procedure, every product and every client". What we have done is for our clients and we believe that quality is the best way to develop market. 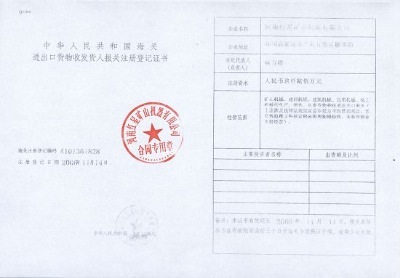 All of the products have passed the authentication of ISO9001. Hongxing Brand is the Chinese Famous Brand. Reliable and stable quality is the key to success. Our products are well known at home and abroad. Now we have tens of thousands of users throughout China and in more than 30 world markets. The leading products in our company include: ball mills, Raymond mills, sand-makers, jaw crushers, hammer crushers, vertical compound crushers, rotary kilns, driers, vibrating screens, sand makers, magnetic separators, SF flotation machines, roll crushers, belt conveyors, bucket elevators, spiral classifiers, impact crushers, granulating discs, final screens, lift mixers, table concentrators, centrifugal ore separators, high-efficiency concentrators, disc feeders, pendulum type feeders and hydraulic cyclones. Moreover, we can provide program design, process flow design, standard and non-standard design for clients. The persistent operating theory of Hongxing is: the development way depends on the concept and the good product comes out of the good faith. 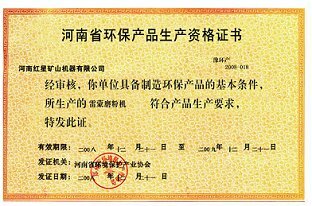 We have been awarded the "Civilized Enterprise" "Key Enterprise" "Enterprise with Standard Quality" and "Enterprise with Honesty and Credit Standing". We firmly believe that we can get sincere repayment with our sincere dedication.